When I first met Alyssa and Franco at our studio, I knew that we were going to be a great fit. They both were very laid back, super fun, and they wanted to throw a wicked party at one of my favourite wedding venues, Le Belvedere. Alyssa and Franco also had a portrait session before the wedding if you want to check that out, visit the blog post. 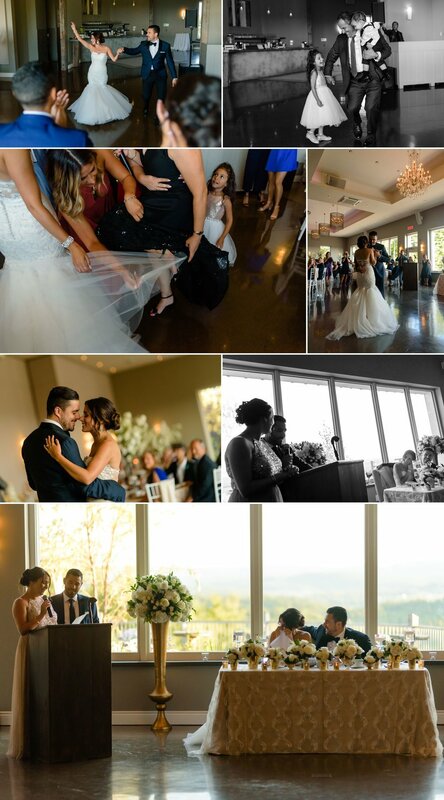 There were so many great moments from Alyssa and Franco's wedding, the families are tight knit and you can just feel the love they have for each other. They also know how to enjoy themselves and just embrace the time they have with family and friends. Please scroll down to see some of my favourites from the wedding!